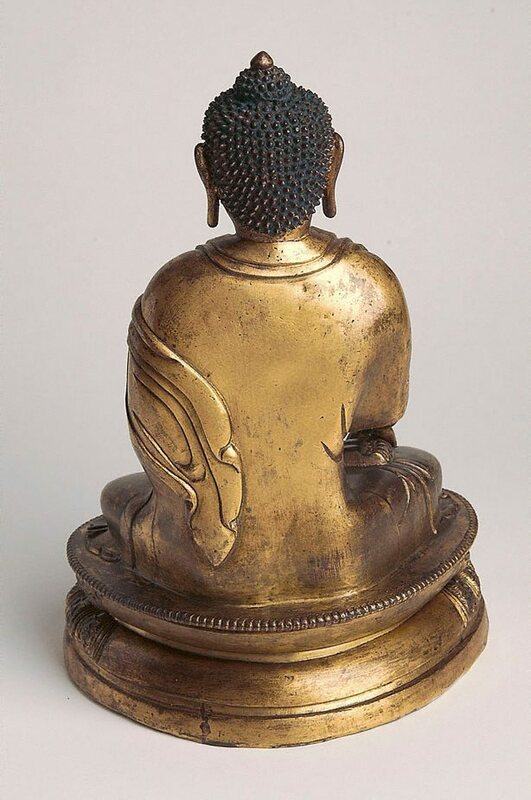 The Buddha sits with his left hand in his lap and his right hand in the earth-touching gesture (bhumisparsha mudra). Around the base of the sculpture are brief inscriptions in Sanskrit, Mongolian and Tibetan and, in Chinese, the reign mark of the Qianlong emperor. 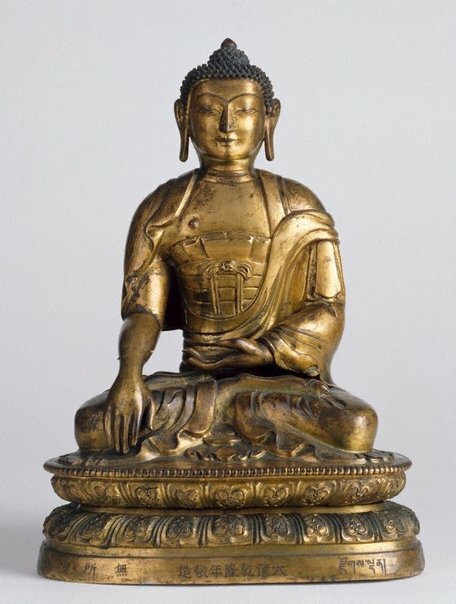 Akshobya, one of the future Buddhas, and Shakyamuni the historical Buddha are the only Buddhas depicted in this pose.